Cyanide poisoning works by not allowing the body to use oxygen. 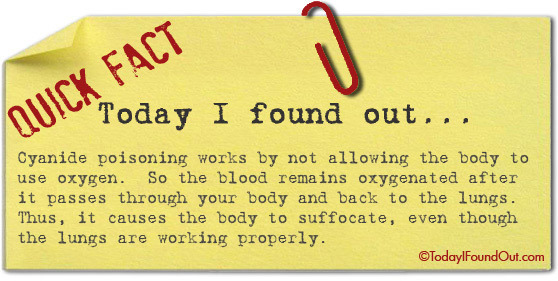 So the blood remains oxygenated after it passes through your body and back to the lungs. Thus, it causes the body to suffocate, even though the lungs are working properly.